Strong leadership involves overcoming challenges, rising to the occasion, and persevering through adversity. Given the level of skill required and intense competition, such leadership is not uncommon among NFL athletes. But for Vincent Jackson, bold leadership extends well beyond his incredible achievements during his 12-year NFL tenure. For Jackson, community leadership off the field is even more important than leading others on the gridiron. 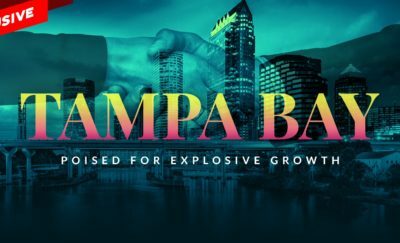 As we report weekly, bold leaders come from all walks of life and are transforming society in positive ways which is definitely the case with Vincent Jackson and the impact he is making in Tampa Bay. Bold leadership consists of many attributes that Jackson has certainly exhibited throughout his life. Community leadership continues to be a core pursuit for the now-retired three-time Pro Bowl football star. Not only has he never forgotten his roots, but he continues to inspire those around him through bold leadership actions. For the Tampa Bay area, which Jackson now calls home, this is a truly wonderful thing. Before being drafted by the San Diego Chargers in 2005, Jackson had already enjoyed many life experiences. Growing up in a military family, he moved often living in Louisiana, Arizona, Colorado, and even Germany. Despite the frequent relocations, however, he developed community leadership experiences by actively applying himself. Not only did he excel in academics and athletics, but he also had several part-time jobs. Working in motels, telemarketing, sales, and the service industry, Jackson became connected wherever he lived. 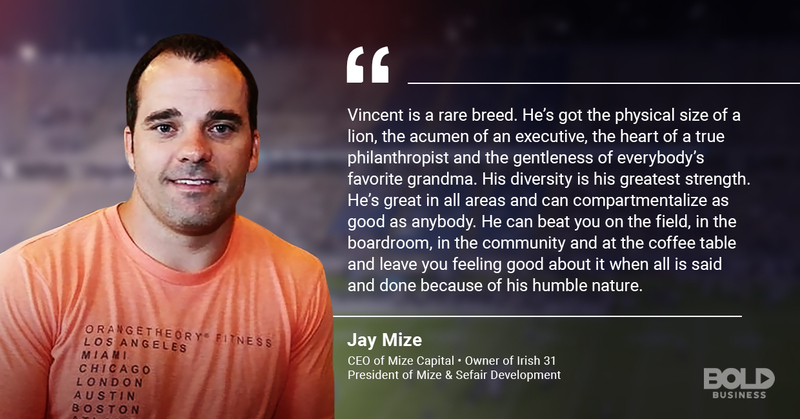 By creating the Jackson in Action 83 Foundation, Vincent Jackson has shown great compassion – and leadership – in the community. The impact these experiences had on him was notable for a couple of reasons. For one, Jackson was naturally shy, so engaging with others allowed his social skills to evolve. At the same time, he learned the importance of community leadership and looking out for others. This was naturally instilled in Jackson by being part of a military family. But it was further highlighted in the various jobs he worked. As a result, humility and being an example to others around him became important throughout his youth. 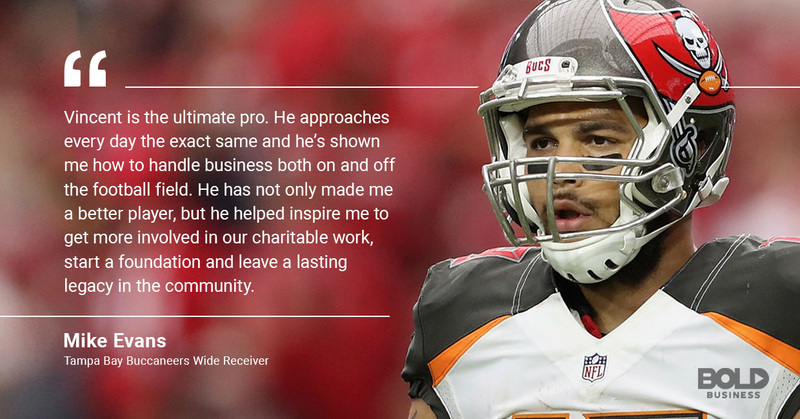 Vincent Jackson’s bold leadership both on and off the field is recognized by many. As a community leader who exhibits bold leadership abilities, Jackson accepts everyone for who they are. Certainly, Jackson epitomized bold leadership on the field by empowering teammates to rise to the occasion. But he has done the same with friends and colleagues in his business endeavors. And he has also attended to the needs of many in both Tampa and San Diego, where his community leadership has shined. Growing up in a military family, Jackson appreciates the challenges many military children and families face throughout the service of a loved one. This underlies his passion for supporting military families through the numerous programs run by his Jackson in Action 83 Foundation. In addition, having worked in the service industry throughout his life, Jackson enjoys being of service to others. Through this type of bold leadership, he provides tremendous support that allows others to succeed. Early in Jackson’s NFL career, he recognized two important things. First, he realized anyone’s tenure in the NFL could end at any moment. That pushed him to finish college, attaining a business associate’s degree. Secondly, it encouraged him to envision a broader and more encompassing path for his life. Because of this, Jackson embraced his role as a community leader wherever he lived. Jackson became immediately active in the community in both charitable and social circles after San Diego drafted him. Upon moving to Tampa, he and his family did the same. This has earned Jackson notable awards, such as the 2016 Salute to Service Award, presented annually by USAA, and the NFL and the 2017 South Tampa Chamber of Commerce Citizen of the Year. Also, he was selected four times as the Tampa Bay Buccaneers Walter Payton Man of the Year. 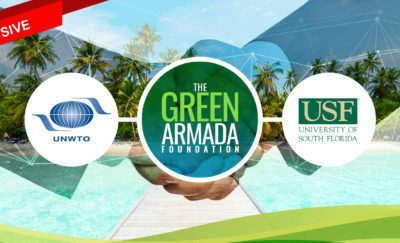 He was also recognized as USF’s Outstanding Young Alumni. Through his foundation, Jackson still supports his high school in Colorado Springs with a scholarship program. This highlights his constant commitment and focuses on community leadership throughout his life. Vincent Jackson has helped the community with the military charity Jackson in Action 83 Foundation – and it reflects on his character. During the course of Jackson’s 12-year NFL career, he earned Pro Bowl recognition three times. In addition, he set athletic records at his college in both football and basketball. But Jackson’s focus was never one-sided. His decision to attend the University of Northern Colorado was in part based on their business program. And he was academically astute, as evidenced by his acceptance to Columbia University, as well. In essence, Jackson has always sought to be a well-rounded individual in all his pursuits. Today, this same balanced approach to bold leadership continues to reflect Jackson’s goals. 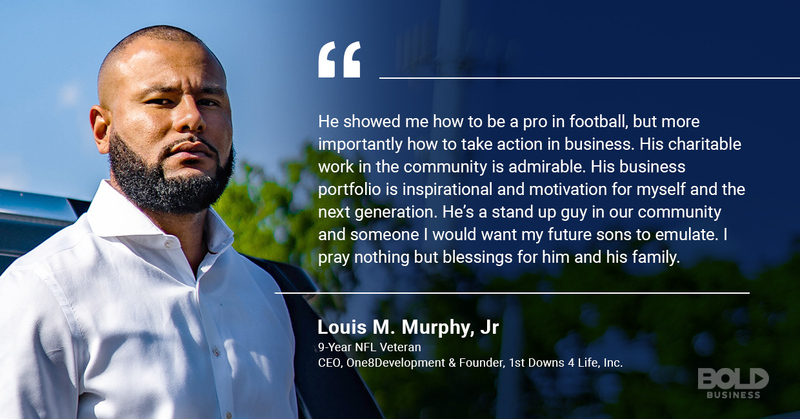 Despite being retired from the NFL, he actively invests in his communities while striving to help others succeed. He also continues to advance his business interests while advancing his education. And he naturally exhibits strong community leadership through his foundation and other charitable activities. As he has described, his NFL career was incredibly rewarding. But this next phase of life is even more exciting as he seeks new goals and accomplishments. It is therefore quite likely more will come from his ongoing bold leadership pursuits. To learn more about Vincent Jackson’s charitable organization, read our article on Jackson in Action 83. Indoor Farming: Could an Aeroponics Growing System Be the Answer to Food Problems?